Developing an income stream which does all the hard work for you while you sit back and count the cash is the aim of all referral marketeers. 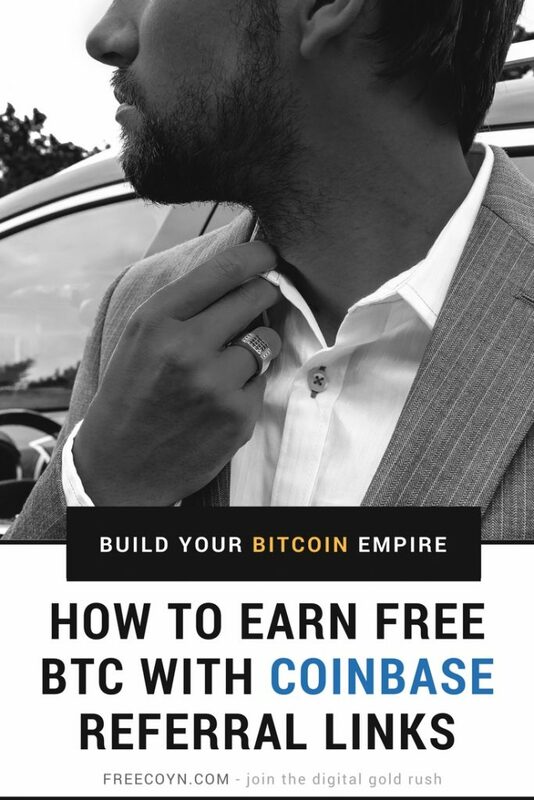 We’ve written at length about you can develop a passive income from free bitcoin faucets through referrals, but for the purpose of this article we’re focusing on earning a referral income from Coinbase. Coinbase is one of the world’s largest digital currency exchanges and supports four coins – bitcoin, bitcoin cash, ethereum and litecoin. At the time of writing the US-based company had more than 13 million users. You’d have thought that with this number of existing clients the company wouldn’t need to offer incentives to attract more right? Wrong. 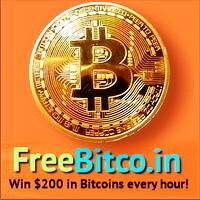 Despite its popularity, it still offers a generous referral scheme whereby both the person hosting the referral link and sign-ups can each earn $10 worth of bitcoins. All that needs to happen for you to get paid is for the sign-up to buy or sell a least $100 worth of cryptocurrency. This is a great incentive for you to promote an affiliate link and for a person to use it to begin trading on Coinbase. 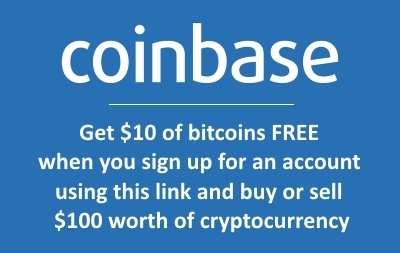 It’s worth mentioning that Coinbase is extremely easy to use which is another reason to promote it to others. Some exchanges can be quite daunting when you first start out and there can be a sharp learning curve before you can buy or sell your first coins. But Coinbase keeps it simple both in terms of the initial set-up and its user interface which is refreshingly free from complex menus or options. Probably the trickiest part of getting started with Coinbase is the ID verification process as part of opening a new account. This involves uploading a copy of your passport, driving license or similar document to confirm your identity – an essential part of anti-money laundering laws. But even this is made as straight forward as possible and anyone with a basic understanding of uploading files should find this a breeze to do. The following steps talk you through setting up a Coinbase account which you;ll need to get your referral link. You can then begin promoting it and (hopefully!) the profits will start to roll in. Coinbase then makes two charges to your account’s ‘pending transactions’ list. Complete the ‘charge verification’ page with the amounts to finish the verification process. (The charges will disappear from your account within a couple of days). That’s it, you’re ready to go! You can now start buying and selling cryptocurrency instantly. Simply click buy (or sell) and you’ll be given live prices and the exact amount of digital coin you’ll get for your cash, minus Coinbase’s transaction charge. Even though there are a few steps to complete, it really is a simple process which shouldn’t take too long. It’s designed to be as idiot-proof as possible and make the exciting world of cryptocurrency accessible to as many people as possible. Once you’re signed in you can grab your referral link. Head up to the arrow next to your name (top right) and click on it. The third option down is titled ‘Invite Friends’. Click on this and you’ll be taken to a page where you can copy your link ready to be shared or directly invite people to sign up via email. Now all you need to do is promote your link. You can start off with family and friends who are interested in cryptocurrency. However, if you’re interested in increasing your referral earnings beyond this circle you’ll need to throw your net a bit further. You can utilise social media (where allowed) to promote your referral link, although many sites will penalise your for doing it so blatantly. A better way is to start a blog where you create original and informative content about cryptocurrency and the include your referral link where appropriate within your posts. This way you can then legitimately promote your content across social media while staying within the guidelines. Forums are another great way of sharing your content and referral links, but like many social media sites posting outright referral links are against the rules. However, many forums allow you to use your forum signature to promote your blog and/or your referral links. Check the terms before you do this to avoid getting banned but if you are allowed than it’s a great way of sharing your link, particularly if you post frequently and intelligently and gain seniority on the forum. Remember, you can instantly boost the value of your cryptocurrency portfolio with free bitcoins using our referral link. You benefit and so do we so everyone’s a winner! Do I Need To Buy A Whole Bitcoin To Invest? Is Moon Bitcoin Faucet Legitimate? Is CoinPot Microwallet A Scam Or Legitimate? What Are The CoinPot Faucets?